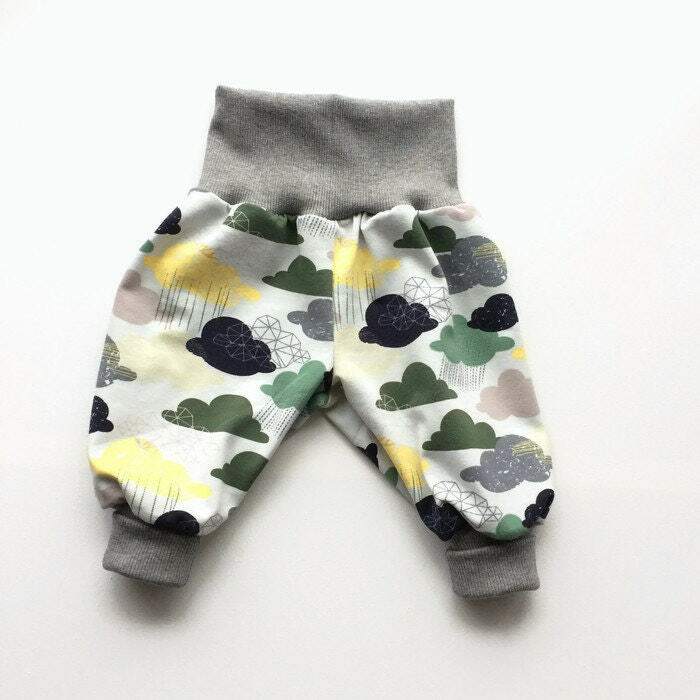 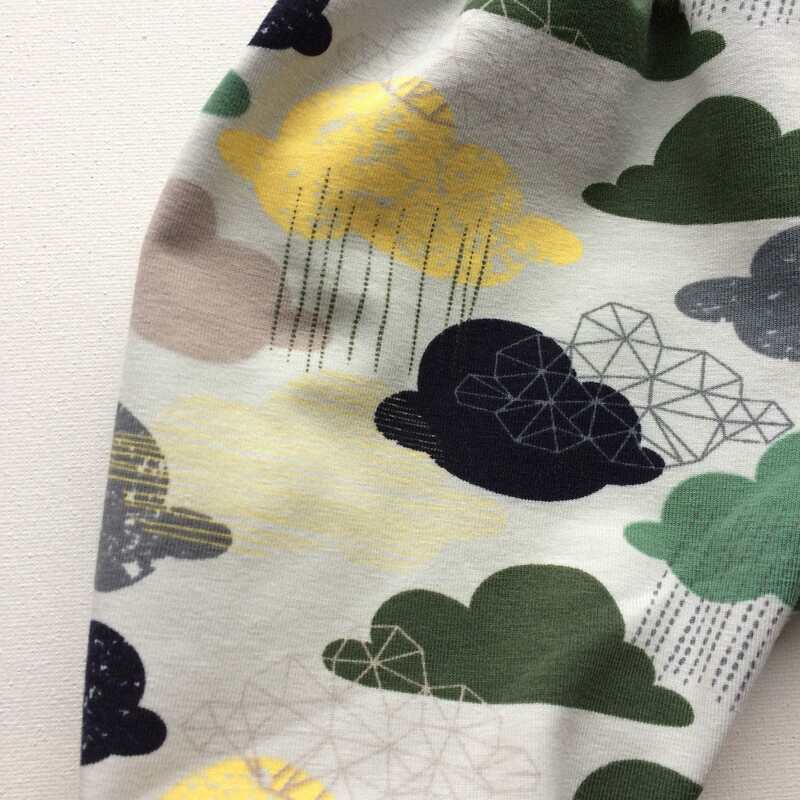 These fantastic comfy baby pants are made from soft jersey cotton with clouds in gray, taupe, green. 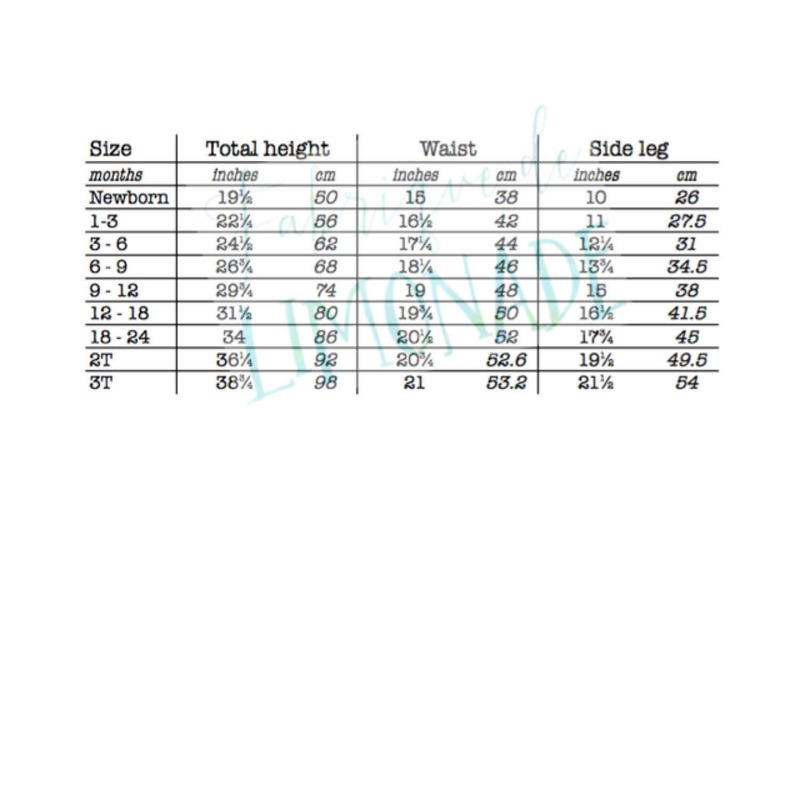 They are stylish yet comfortable with a waistband and cuffs made from gray ribbed knit fabric. 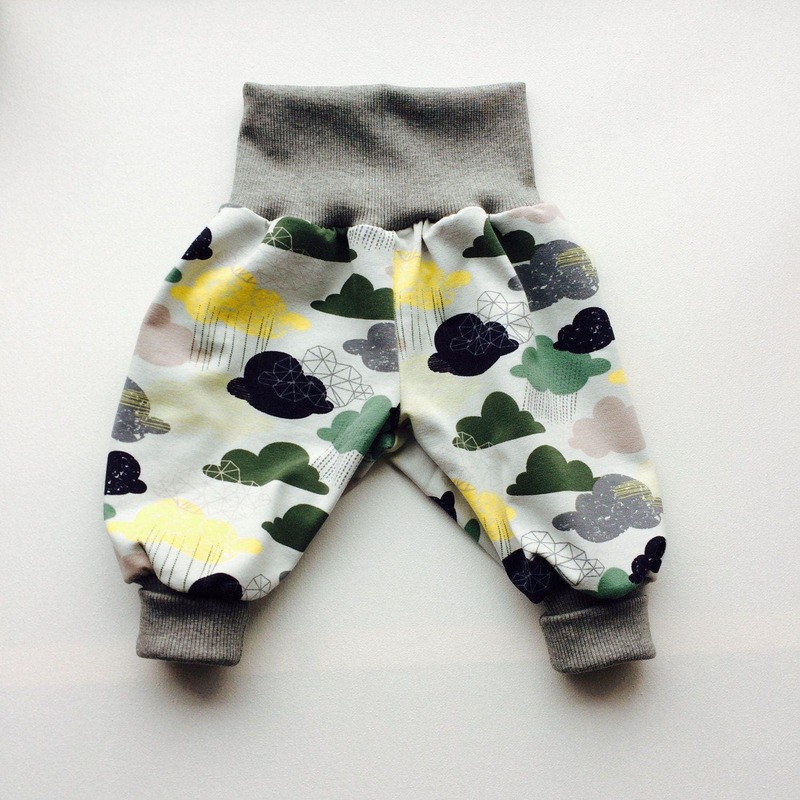 The waistband and cuffs can be folded over or worn high, so that they grow with your baby.